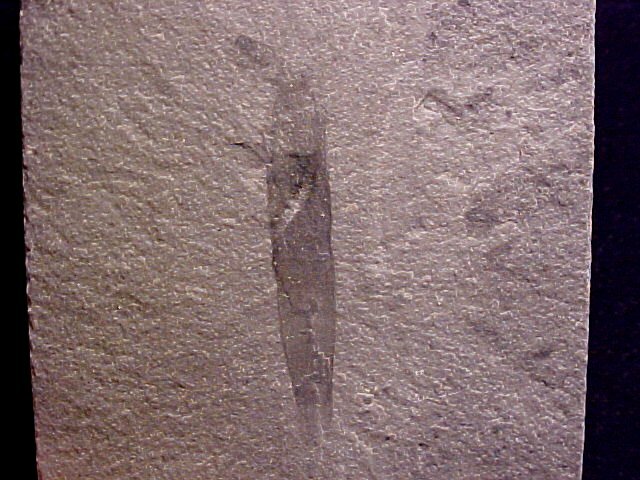 This priapulid worm, Selkirkia sp., is a rare fossil in that it has the gut trace and the proboscis well preserved. 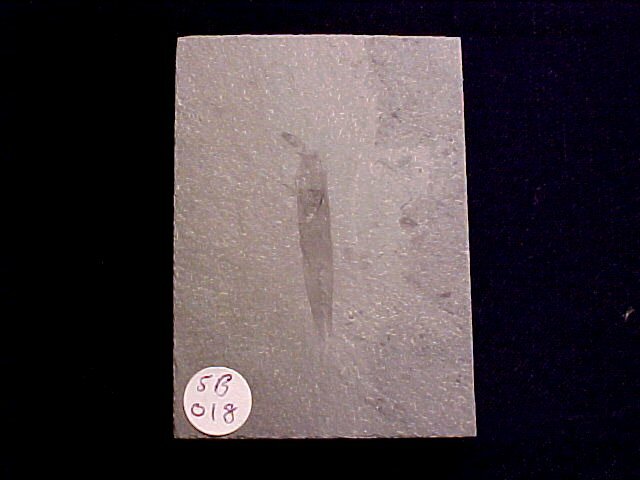 Priapulid worms are among the fossils found in the Burgess shale, and ancestors are still extant today, though not diverse. They are as biologically complex as arthropods, and are thus important in the Cambrian fossil record. Taxonomically, they belong to a group named the Cephalorhyncha that are ecdysozoan animals -- encompassing the arthropods (insects, spiders, and crustaceans) and the nemotodes. The grouping is based on a set of shared characters including the presence of a cuticle and the fact that they periodically shed their cuticle in a process called ecdysis. All cephalorhynchs have a spiny proboscis that is used to gather food.